Learn how Silicon Valley started raising capital. 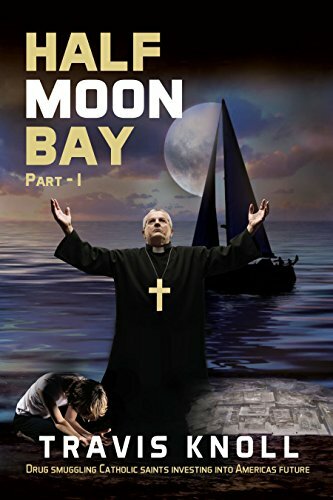 In this book you will see our character Rick transform into a Saintly figure by God and attempt to take his rightful position at the head of God's drug smuggling table, and try and reconnect with his past. Rick loses his father, and God that uses the Catholic Church to smuggle drugs offers him a job. He must choose to live the life he used to know or become a Saint in Gods drug smuggling ring. Accept his new life as a Saint and using the Catholic Church as a cover to smuggle drugs into Half Moon Bay, CA. Rick tries to find out what truly has happened to his father as he runs into a Detective that offers him real information on the organization that his was working for. The goal is set to invest into America's future and smuggle a tanker full of drugs into Half Moon Bay during the Super Bowl. All the while trying to elude the FBI, and finding out what really happened to his father.